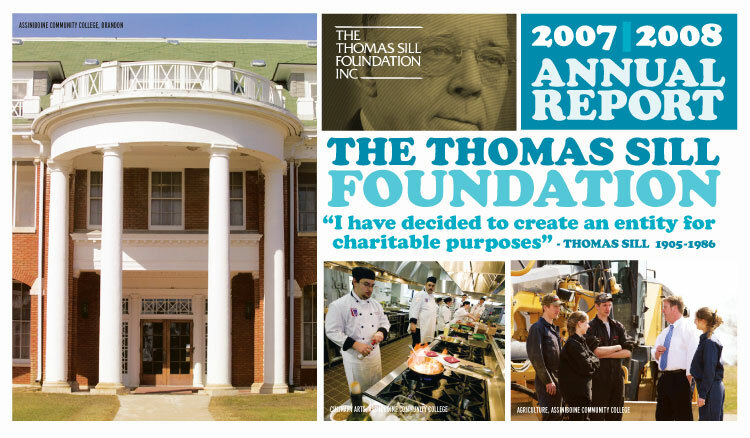 On Christmas Eve, 2007 the Thomas Sill Foundation celebrated the 20th anniversary of its first grant. That award was $5,000 made to the Christmas Cheer Board of Greater Winnipeg. Much has changed for the Thomas Sill Foundation since 1987. The $19 million bequeathed by Thomas Sill has grown to $35 million, yet the Foundation has awarded grants in excess of $21 million. Such is the beauty of philanthropy based upon permanent endowments. In recognition of our 20th year of granting an award of $150,000 was made to Assiniboine Community College in Brandon. 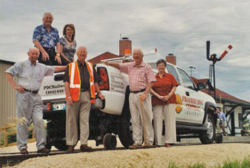 Unlike most private foundations in Canada, the Thomas Sill Foundation is active in rural communities. Since Assiniboine Community College serves largely rural students the fit was appropriate. The Foundation is proud to contribute to the education of rural students and to the preservation of the heritage architecture at Assiniboine Community College’s new campus on Brandon’s North Hill. This signature award in our 20th year contributed to 56.5% of our grants being made in rural and northern Manitoba. The remainder of 43.5% was made in Winnipeg. In total, cash grants were made to 79 charities in the amount of $1,163,640. Individual grants varied in size from $600 to $150,000, including some multi-year grants. On an annualized basis the average grant was $12,300. All grants can be viewed by clicking on “Enter Annual Report” below.